A former industrial hub of the city, River North real estate has since been transformed into one of the richest cultural centers in Chicago. Many of River North's converted warehouses and factories now house businesses, shops, restaurants and residential real estate. Since the '90s, River North has seen numerous high-rise residential buildings spring up, bringing luxury apartments and condominiums to the area. Whether you're looking for an airy loft or a cozy studio, River North is home to a wide variety of residences that suit a range of tenant needs. Many of River North's newer construction developments feature full amenities comparable to established downtown developments. In addition to its architecturally diverse landscape, River North is home to a vibrant fine arts community as well. Chicago's River North boasts the second-highest concentration of art galleries in the United States, bested only by Manhattan. And a wealth of sophisticated nightlife venues ensure that there's always something happening within walking distance no matter the time of day. For more information on luxury River North real estate, contact Leo Clark, Chicago's downtown real estate expert. Thinking of Selling Your River North Home or Condo? If you're looking to sell your River North home, condo, or loft in today's ultra-competitive market, contact Gold Coast Realty to learn more about how we can get your property sold fast, and for the price you need! Already have a good idea of what you're looking for in Chicago’s trendy River North neighborhood? Narrow down your options and only browse exactly what it is you want! And if you don't see what you're looking for below, let us know and we'll set you up on a custom search that sends MLS listings that meet your search criteria straight to your inbox. The list of lavish condo buildings in River North is quite lengthy to say the least. As one of the hottest neighborhoods in all of Chicago, it's easy to see why condos for sale in River North are appealing to so many of today's home buyers. The dining and nightlife scene in the neighborhood is among the best Chicago has to offer and the choices you'll have when looking for a condo in River North are seemingly endless. To get started browsing some of River North's most sought after condo buildings, refer to the list below and click on an address or location that you may feel is a good fit for your needs and wants. WANT TO SEARCH MORE RIVER NORTH CONDO BUILDINGS? 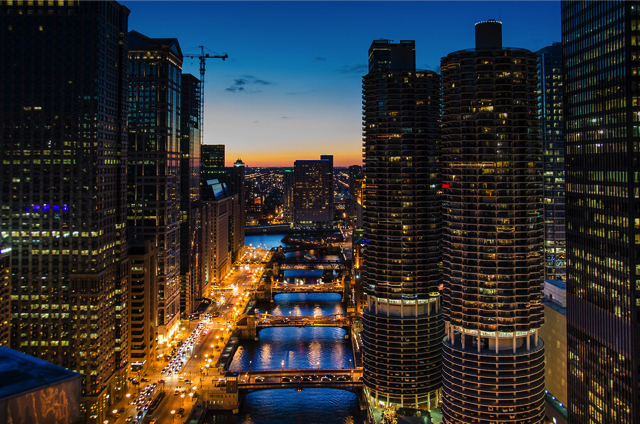 Many already existing residents and potential home buyers alike love where Chicago’s River North neighborhood is located for wide range of reasons. First, given River North is a bit further off the lakefront and away from top tourist attractions like Navy Pier and the Magnificent Mile, you might find that the area is a little less congested than Streeterville and even parts of the Gold Coast—with a heavy emphasis placed on “little,” however. 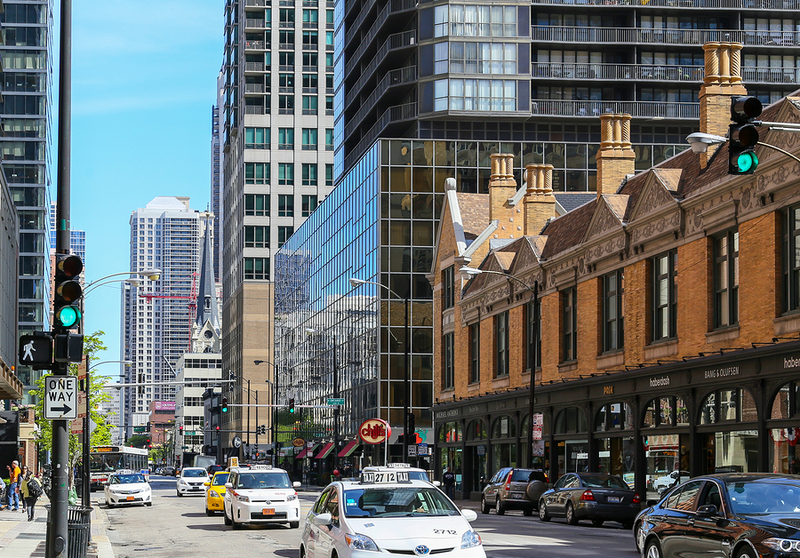 In addition, nearly every location within River North also puts residents just steps from many of the city’s top dining and entertainment venues, both in River North and in the nearby West Loop neighborhood. For a better idea of where River North is located, its boundaries consists of Oak Street to the north (some consider Chicago Avenue to be the northern boundary line), the Chicago River to the south, Michigan Avenue to the east, and the north branch of the Chicago River to the west. As one of the trendier places to call home in downtown Chicago, there’s a lot going on in River North. As mentioned above, the art scene here is off the charts, and in terms of shopping and dining, it really doesn’t get much better. High-end streakhouses and upscale “clubstaurants” fill out the area landscape, and in terms of real estate, everything from chic loft conversions to award-winning mid-rises and high-rises will leave potential home buyers beyond impressed with all the incredible opportunities just waiting in the wings. With so many different and attractive options filling out the River North real estate landscape, navigating the market can sometimes seem like a daunting task. In addition, in such a competitive environment, it’s also important you align yourself with a professional and experienced real estate agent who is completely familiar with the River North neighborhood, as well as the entire downtown Chicago area. So to discuss all your home buying goals or to perhaps even schedule a showing for an available River North home or condo, contact the experts at Gold Coast Realty today at (312) 280-9600!